Over this past weekend, the best boxer in the world Floyd Mayweather again dominated this time against his greatest foe of the last decade Manny Pacquiao. Many causal fans were angry with the style of fighting Mayweather offers in that he plays defense, rarely takes chances, and when he sees the opportunity he instinctual takes advantage. Manny Pacquiao on the other hand, a great champion himself, is more a fan favorite focusing more on offense, being aggressive, and taking more risks; the type of risks that have led to prior defeats in his past. Mayweather has been boxing since he was age four and has learned all he needs to see in the ring. Over the course of his early career, including the amateurs, he examined the mistakes he would make and use them for inspiration to obtain his greatness. In the first few rounds of his fight he is curious of what his opponents will bring as their game plan. He shows insight acknowledging what for him may be the better strategy. He remains humble in the ring and takes small risks, hoping for the victory at the end of the fight. He delays gratification. He is mindful, adapting over the middle part of the fight to continue to utilize his skills, the skills he trusts and has practiced over the course of the majority of his life, to assure he remains out of danger and is working enough to win rounds. He does not seek the knockout. Like boxing, emotional intelligence is fostered as a child. Our country I find does poorly at this. If we spent as much time on teaching our kids nursery rhymes and riding a bike (all still important) as we can on teaching them how to manage emotions, deal with conflict, then these issues would not arise so much in adulthood. In my practice, I see many folks who cannot handle conflict, they are anxious about being assertive, afraid to make decisions (or throw their punch) for fear of making a mistake and having regret, or the opposite like Pacquiao in the ring, being impulsive, taking too many risks, and hoping to maintain a constant high that for many is not sustainable. They seek to find that one defining moment of their life, that one knockout, that by only focusing on this, they miss the smaller wonderful and in my opinion more meaningful parts of life. Life should be made up of more jabs instead of the knockout. Preparing and taking our time can lead to more frequent and consistent successes. Though many may define Mayweather in the ring as boring, the attributes he carries through his perfect 48-0 record are all those that if we focused on ourselves and mastered, we would all be a little more emotionally intelligent. Take our time, use insight, don’t take on too many risks, know our limitations; be curious and adapt, persevere when times get rough, but know if we have practiced these skills within in lives, the victory will more likely to be ours at the end when the bell has rung. As for Mayweather’s issues out of the ring, I can't speak to this matter, but he can always email me anytime to discuss working on interpersonal conflict and developing more adapftive means to cope. Never Had A Chance to Crew In College. Now I Can in Williamsburg Everyday! 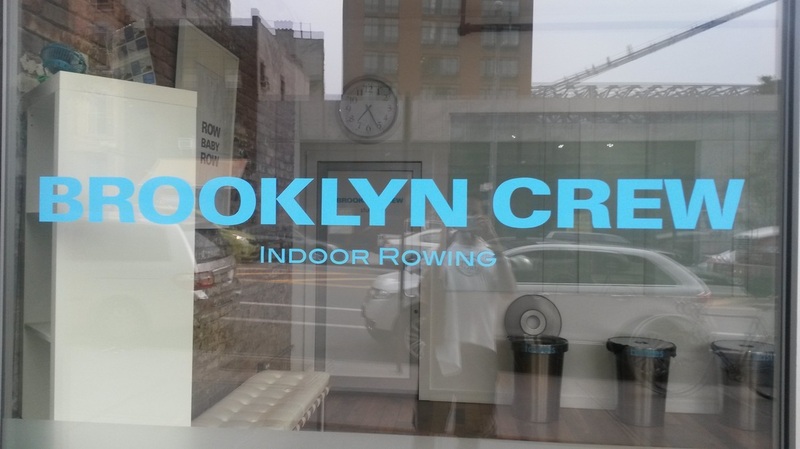 This past year as I have been rotating through the various boring exercises at my gym to remain in shape, I had seen a sign a block away from the house advertising for doing a class that replicates the rowing experience. As I lived in Philadelphia for medical school, I would walk along the river where the famous crew races would occur. Of course I would fantasize about returning to college, joining a crew team, and waking up at 5am to be on the water competing with my peers. Well I can't go back in time, so for my wonderful present self thank goodness someone was awesome enough to bring the crew experience to me:) In this case, that person would be Josh Ozeri, one of the owners of Brooklyn Crew and Kimberly, the head instructor. Brooklyn Crew located on the ever growing Broadway in Williamsburg presents a simple, easy going, almost west coast like atmosphere. There was nothing pretentious nor stuffy. I did not feel I was entering a class that would be competitive or uncomfortable. I walked into the class studio and to a nice surprise, they do not overcrowd the rowing machines. There was plenty of space to feel comfortable. And then there was Kimberly. What a breath of fresh air. As a native of Brooklyn, for me it was great to meet Kimberly who exudes a west coast awesomeness that excites you for your adventure ahead. I think it was important for me not to have someone who felt "New York-ish." I never heard of crew growing up in Brooklyn. Kimberly created a sense that I was away from my Brooklyn life. I was now on a river about to crew with my fellow classmates. So, it seems great, cool instructor, what about the workout? Brooklyn Crew was definitely one of the more unique workouts I have done. Doing cycling, boot camps, even cross fit, they all had variations of workouts I have done in my life. But Crew was different. I loved that the focus was on perfecting my posture (a problem all of us office workers have), strengthening my core, and doing a new move that was unique. The music provided a great beat and the light was dim enough that I was still able to see my reflection in the mirror. The highlight of the class was that I felt we were on the water working hard to keep the rowing momentum going strong. I could look at my peer through the mirror and though not feeling competitive, I felt we were racing. He inspired me to keep his pace and keep pushing through the water. It was a really cool for 45 minutes imagining I was on that river in Philly competing. Crew is a cool, effective way of doing three great gym exercises in one that as mentioned above is done in a fun, exciting atmosphere. The first exercise is a seated cable row where you work on your biceps, chest, and back bringing the bar with resistance to your chest. The next move is (and what these machines do that separate it from just being a seated cable row) is the sliding foot mechanism. By strapping your feet into these and sliding back and forth as you row, you create a ab exercise similar to a hanging leg rase as well as a seated leg press when you push out. So with each "1,2" you are performing all three of these typical gym exercises in one. Posture is improved and core is being activated, all to an amazing beat while fantasizing you are actually doing crew. It's unusual to have an exercise class that literally "takes you away." I caught up with Josh, the owner and he provided some feedback about his ambitions about creating Brooklyn Crew. Josh was looking for an effective way to bring a sport to the gym experience. He mentions (and this was after I had experienced the class) that the idea was the provide the realistic effect of being on water. Good job Josh, well done, because it did feel that way. Lastly, about encouraging folks to exercise and maintain healthy goals, Josh appreciates there are many options to add fitness to your life. Find one you can love. If you do, it will be easier to stick with and you are more likely to stay focused on reaching one's goals. My peer next to me while rowing in the class simply told me this was the best class he had found. I felt his passion for the class as we started and finished. He was having fun and was getting a killer workout. No doubt he had found his go to class. 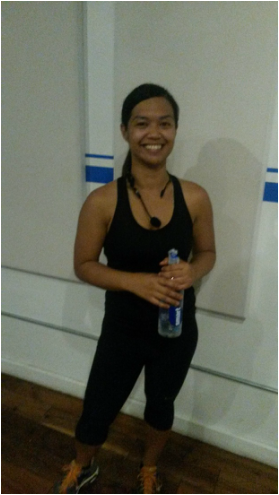 Brooklyn Crew is a pretty cool alternative to the typical classes for a great cardio and muscle building experience. 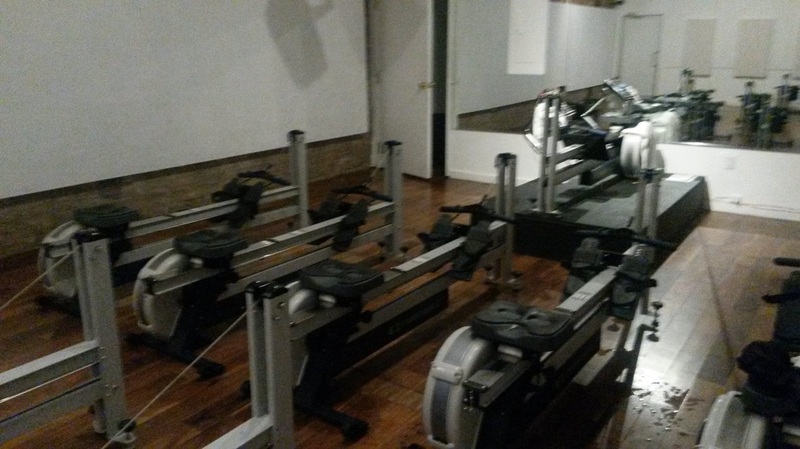 If you think you are bored with your routine or dulled by your trainer or simply just not having fun while working out, Brooklyn Crew is your spot. Check them out! Who Hasn't Dreamed of Owning a Fashion Label?! Let's Meet Someone Who Does! When I was eighteen years old, I was so frustrated at why I was struggling to feel confident. It took a special friend who alerted me that my head to toe sports apparel was not going to bring me the confidence to get dates or feel good about myself. He brought me into his dorm room and had me take off my ridiculous extra large Notre Dame sweatshirt. He went into his closet and took out a shirt that when I put it on, I felt as if I was seeing through a new pairs of eyes. I asked what this shirt was. "Tommy Hilfiger," he said. From that day on, I became fascinated with fashion and men's apparel. If I was not going to medical school, I would have loved to have gone to FIT. I have been fortunate to befriend someone who took the journey to make her fashion dream a career and she continues to inspire me with her journey. 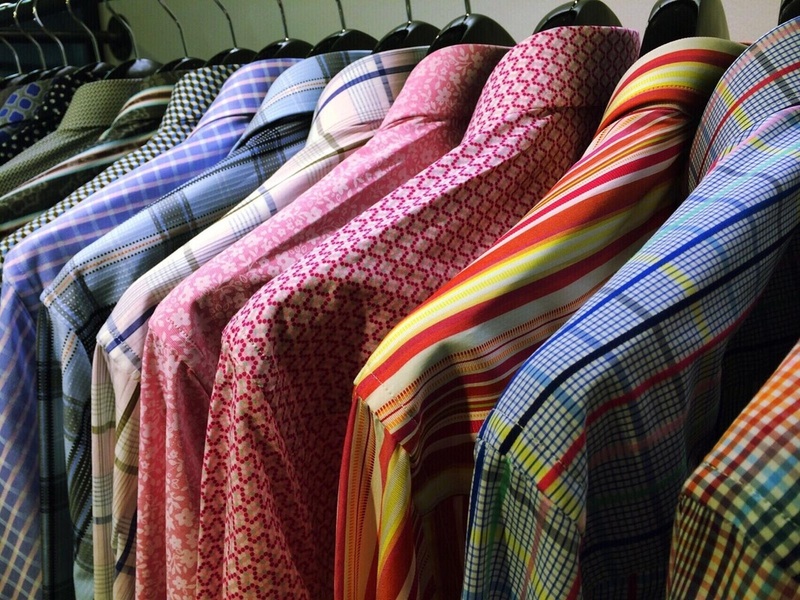 Jenna and her two partners created Quieti Apparel, a fashion line of men's designer shirts. Their shirts have been featured at Dillard's and Saks Fifth Avenue. But that wasn't always the case. Her story is one of curiosity, resilience, and dedication- exactly the attributes that lead to reinvention, success, and happiness. I caught up with Jenna recently and she shared her story. 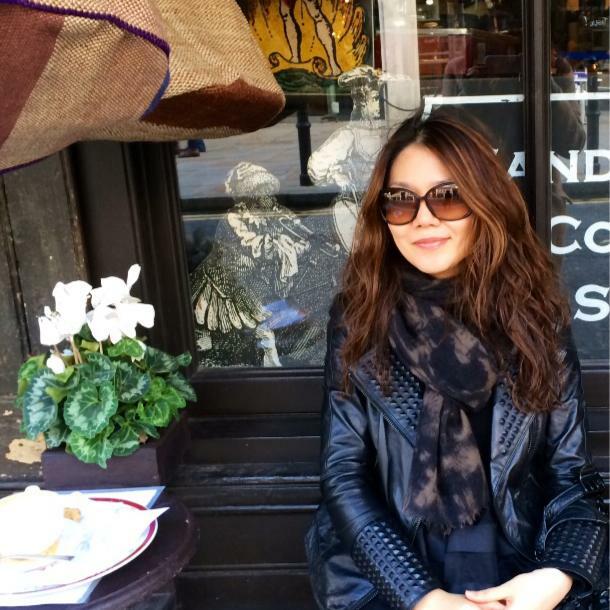 Jenna grew up in city called Daegu in South Korea where she went to college for fashion. At that time, it was expected and customary of her family to marry and stay in South Korea. But Jenna was inspired to learn of the world outside of Korea. Specifically, she had always wanted to visit Europe and see for herself a piece of the western world. She fell in love. But it was still expected that upon her return, she would make her life in Korea. Jenna made efforts and received permission from her father to come to the US with a two month visa. And guess what? She never returned. Those two months turned into attending FIT and eventually getting a job in NY as a fashion illustrator. I can only imagine moving to a new world not knowing anyone and trying to create a life for yourself. Jenna eventually began working as a fashion designer and worked in the corporate world all the way though the recession in 2008. It was then that she realized she was beginning to lose her passion for fashion. "It became too much like a job," she reflected. It was then that serendipitously she received a phone call from one of her current partners asking to take the leap of faith and take their expertise and make their own label. Out of that leap of faith, not feeling victimized by the severe difficulty of the current economic outlook, Quieti Apparel was born. Since its launch in 2012, they have grown to be an extremely successful enteprise with revenue that would inspire anyone. Being her own boss allows Jenna the freedom to do what she loves as well as explore the world through travels to find new inspiration for her line. Jenna's story reminds me of keeping the long term goal present as we struggle with the mundane and the challenges of our stressful lives. If you believe in yourself, work harder to perfect your skills, and stay positive, amazing things can happen. On this beautiful past Saturday July 19th, I was fortunate enough to be asked to join the amazing CrossFit folks at Crow Hill Cross Fit in Crown Heights, Brooklyn. Now being honest, for some time I have avoided a Crossfit class as I was always concerned about the appearance of it's "cult" like attitude or that fitness magazines would discuss injurious related to Crossfit. When I received an email this past week from the owner Dan to come join his class and have an intro to the hype, I was able to feel from the energy this was something special. And indeed it was. From the first moment I walked in, there was a special sense of camaraderie that I myself have yearned for from various attempts at gyms and leagues. I thought it was special that Dan knew all of the names of my fellow classmates at 12pm and was aware of what each person was striving for in their personal goals. How often do you have that personalized attention and support?! After Dan gave a short tour, I was introduced to my instructor for the day, Robin. Robin showed us a board of today's goals. Robin gave us ten minutes to do the "warm up" which was all the exercises from the samson stretch to the pulls up. I could barely make it through three cycles. After this, I realized that's my normal work out! And we were just getting started. What was amazing in terms of moving forward and concerned about injury was that Robin made it crystal clear that form is the most important and that if she appreciated that anyone was losing form increasing their risk for injury that she would stop you and lower the weight. But she made it super clear it was not a weakness, but a humility of one at risk for injury. Loved the support. We then moved onto the deadliest and overhead squats. This is where is really kicked into high gear. By minute 40, I was becoming extremely nauseous and needed to take a break. Being awesome, Dan provided his new friend a coconut water for hydration. But I never felt a failure or below my peers. It was complete support and never felt devalued while others were amazingly pushing more and making gains. No sense of hierarchy that I wasn't "good enough" to be part of the squad. 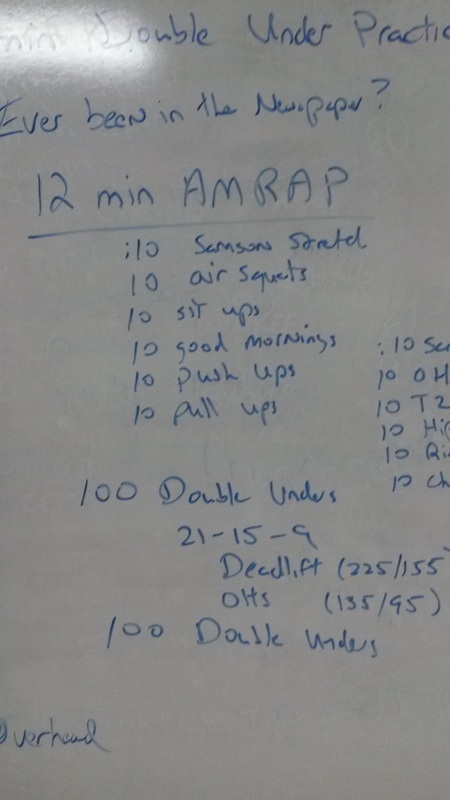 Crossfit and more specifically Dan's team was so inspiring that after my nausea passed, I felt motivated to try a few more reps and push it a little further before the hour ended. And the compliments and praise came for trying a little harder and seeing where I could take this. When it ended, everyone appeared to have had an amazing work out, really pleased with their performance, and for anyone who did do above their max rep or weight, an applause was provided. "When I started coaching that's when I really started to see the power of it - seeing normal people accomplishing things they never DREAMED of doing just a few months previous. It could be something advanced, like getting 5 unbroken muscle-ups, or it could be something as "basic" as being able to jump on a 12" box, but seeing someone's face the moment they've realized they've accomplished their goal is a feeling that can't be replicated anywhere. That to me is the power and appeal of CF. That's why people post all about their workouts on facebook and stuff. Because it starts to become a part of their lifestyle. They start to believe in themselves. 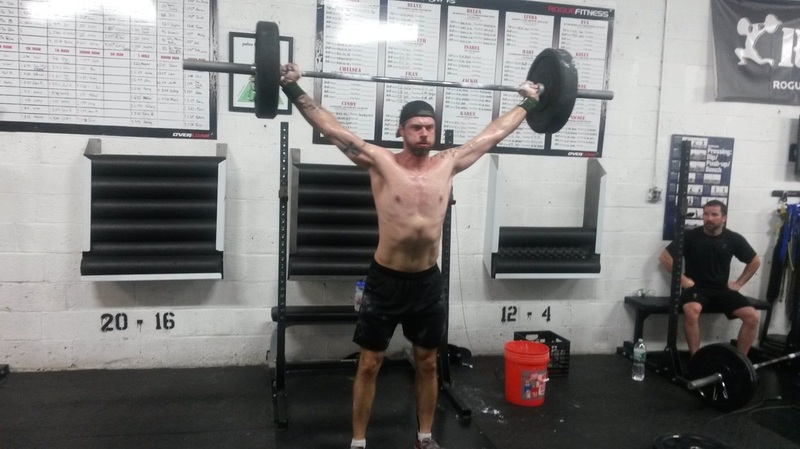 Someone who's goal was to "come to CF 3x/week" at the beginning, starts to believe they can do things, and they change their goal to "two handstand pushups". They can actually SEE themselves doing something that a while ago seemed impossible. Getting to be a part of that community of support and encouragement is the reason that when my alarm goes off at 4:30am Monday morning, I hop out of bed, excited to go to work. There's nothing better!" I can summarize inspiration any better. 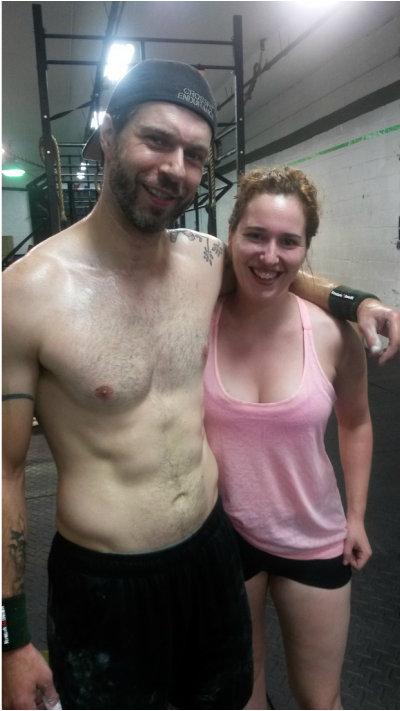 Overall, I felt Crossfit is an amazing workout, a great sense of team, and great sense of community. I would highly recommend it to anyone at this point and am truly a believer. If you are ever in the Crown Heights section of Brooklyn, go check this guys out! Wow, here we are, 2014, creating a new site and beginning a new blog. I realized as I begin to move into the second half of my thirties, I am coming to realize how precious life and time are. As I work six days a week these days, I have to find the means to stay positive, energetic, upbeat and willingness to wake up and keep going strong. Growing up in Brooklyn, I faced many adversities as a child, and though sometimes so tired, I still wake up looking forward to the next day and being curious of all the wonderful and beautiful things the world can offer. I have found that through the years with the acting career, going to medical school, and finding means to continue my endeavors like writing and producing these days, that healthy and clean eating, frequent exercise, and new experiences keep me going. I hope this blog can become a place to share some of these positive experiences, new exercise regimens, diets, and anything else in between that I think can be fruitful and educational for you the reader. Dr. Johnny Lops is blogging on amazing people, fitness ideas, diet ideas, everything in between and sharing his experience of these new endeavors! If you know someone perfect for my blog, whether it's a person you think I should highlight for their reinvention, a new exercise facility doing something new and cool, a new workout I should try, or a "cheat of the week" spot offering yummy treats for that special cheat date, email me!